I have this running list of all the questions I want to ask when I die. It may sound morbid to think about my death so often, but I'm actually really looking forward to learning the answers to questions like is the Oak Island treasure real? What happened to Amelia Earhart? Of course, I have some gospel-related questions as well, like why was polygamy instituted? Where did the geography of the Book of Mormon take place? And why was the priesthood restricted during the early days of the Church? I think we have questions we'd like to ask when we get to heaven, gospel-related or not. I personally believe that questions will help us grow and learn as we continue in the next step of our eternal existence. But I've heard, on more than one occasion, that when we get to heaven, we shouldn't have any questions at all. A few reasons I've heard for this are that 1) our minds will be quickened and we'll know the answers to all our questions and 2) if we are righteous, we won't have any questions. I've tried to search for teachings from Church leaders or scripture that support these two reasons, but I've never found a source that specifically states we won't have questions after we die. However, I have found scriptures and talks that support the idea that we learn and grow throughout our entire existence, even after death. After His crucifixion and death, the Savior spent time in the spirit world. We know from D&C 138 that the Savior visited Adam and Eve, Isaiah, Noah, Daniel, and many other prophets and many other "mighty ones" (D&C 138:38). And while the Savior visited with the righteous in the spirit world, He, "taught, and gave them power to come forth, after his resurrection from the dead, to enter into his Father’s kingdom, there to be crowned with immortality and eternal life" (D&C 138:51). 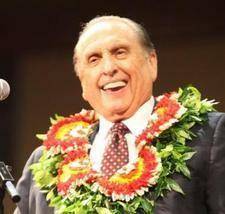 Latter-day Saint prophets have also testified that learning continues beyond the grave. As Brigham Young also said, "I shall not cease learning while I live, nor when I arrive in the spirit-world; but shall there learn with greater facility” (JD 8:10). "I believe we shall be freed, in the next world, in a great measure, from these narrow, contracted methods of thinking. Instead of thinking in one channel, and following up one certain course of reasoning to find a certain truth, knowledge will rush in from all quarters; it will come in like the light which flows from the sun, penetrating every part, informing the spirit, and giving understanding concerning ten thousand things at the same time; and the mind will be capable of receiving and retaining all" (JD 2:246). It's amazing to realize that there is so much more to learn after we die and that all our questions will be answered. If you've ever wondered whether Christ's Atonement extends to other worlds, what life will be like during the Millennium, if chastity can be restored by the Atonement, or if polygamy is required for exaltation—this book is for you. Drawing directly from the scriptures and the words of modern prophets, best-selling author and revered gospel scholar David Ridges provides clear, comforting answers to all of your toughest gospel questions in this compelling new book.